This theme auction presents 22 unique design objects by Teemu Salonen. 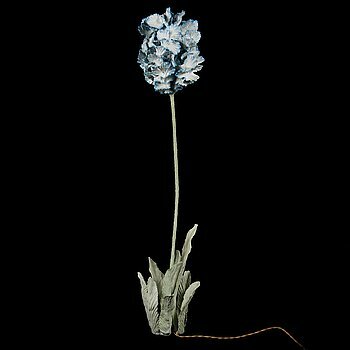 Salonen is an experimental designer who skillfully mixes a variety of materials and techniques, from fibreglass to ceramics. Making things by hand is an essential part of his designer’s identity, and he considers his works to be both design objects and sculptures at the same time. All the objects are handmade from recycled materials. Showing all 12 items matching your search criteria. 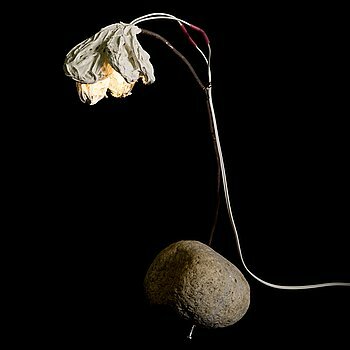 TEEMU SALONEN, a floorlamp/sculpture 'Flower 5', signed Teemu Salonen 2014. 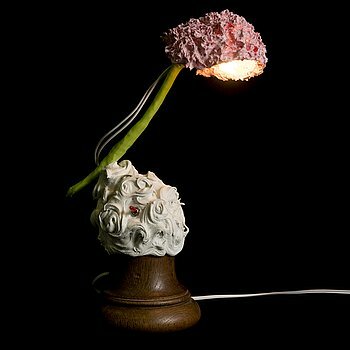 TEEMU SALONEN, a 'Stenblomman' table lamp/sculpture signed Teemu Salonen 2015. 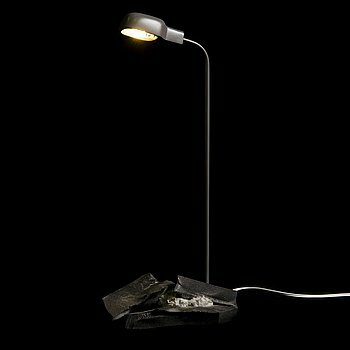 TEEMU SALONEN, a 'Street Light' sculpture/table lamp signed Teemu Salonen 2017. TEEMU SALONEN, a 'Sun Wukong' sculpture/table lamp signed Teemu Salonen 2016. 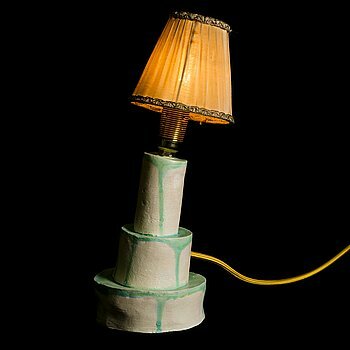 TEEMU SALONEN, a 'Jake' table sculpture/table lamp signed Teemu Salonen 2016. 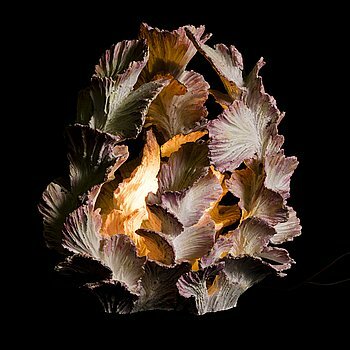 TEEMU SALONEN, a 'Chinese Restaurant 1', sculpture/table lamp, signed Teemu Salonen 2013. 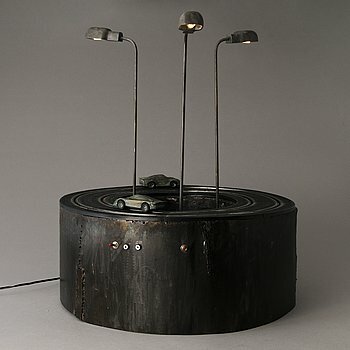 TEEMU SALONEN, a 'Badassjoki 2' sculpture/table lamp, signed Teemu Salonen 2016. 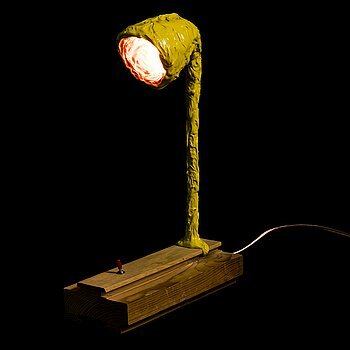 TEEMU SALONEN, a 'Sweety' sculpture/table lamp signed Teemu Salonen 2013. TEEMU SALONEN, a 'Round' sculpture/table lamp signed Teemu Salonen 2017. TEEMU SALONEN, a 'Badassjoki 10' sculpture/floor lamp signed Teemu Salonen 2016. TEEMU SALONEN, a 'Steve' table lamp/sculpture signed Teemu Salonen 2016. 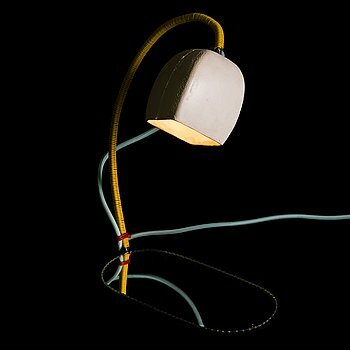 TEEMU SALONEN, a 'Badassjoki Miami' sculpture/floor lamp signed Teemu Salonen 2016.